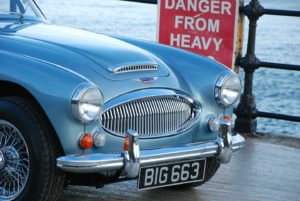 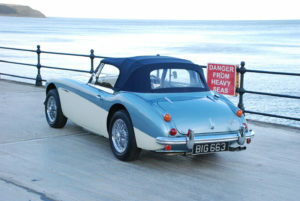 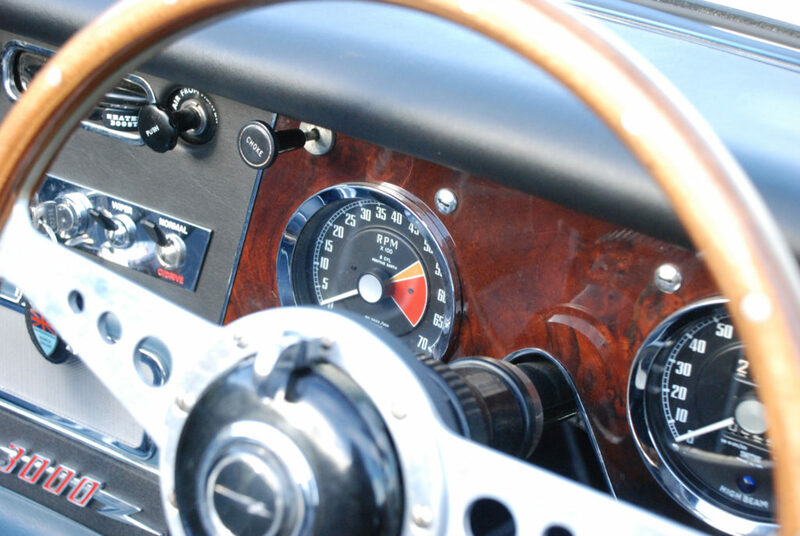 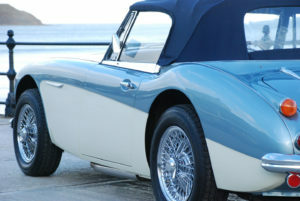 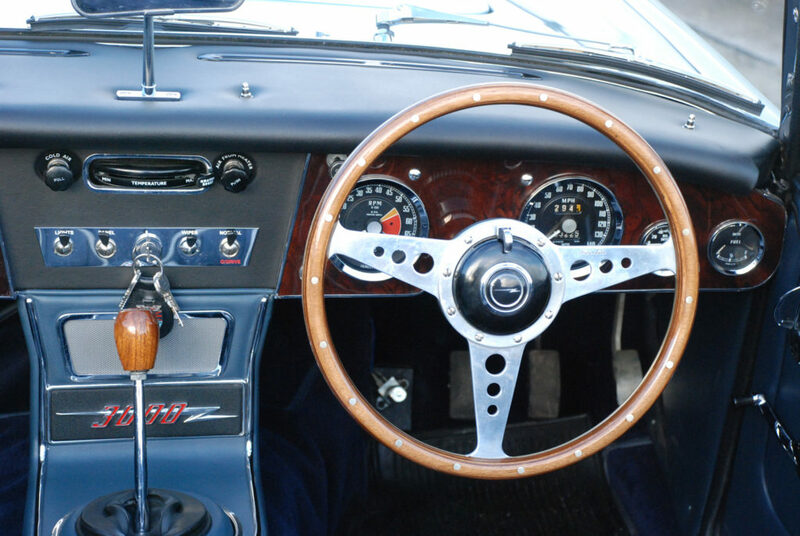 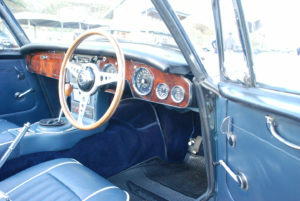 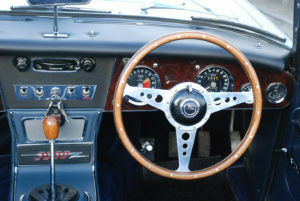 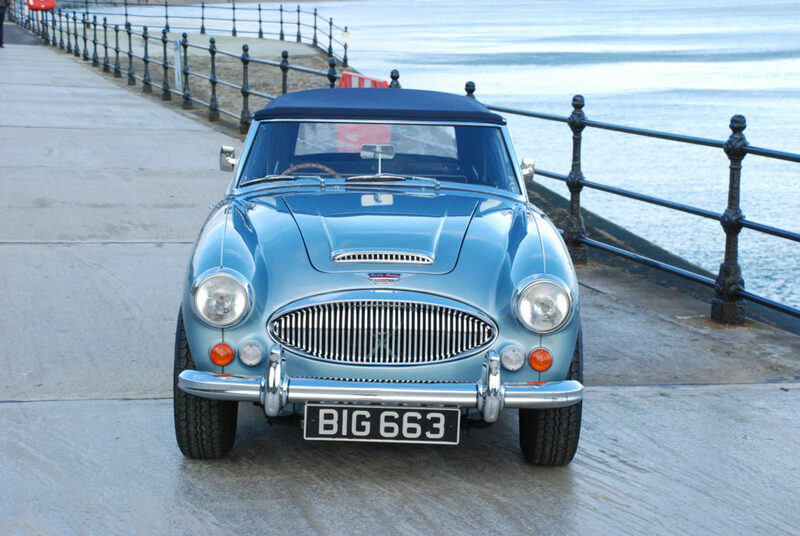 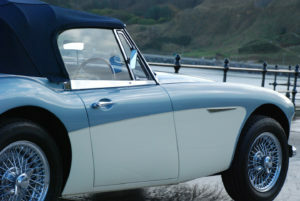 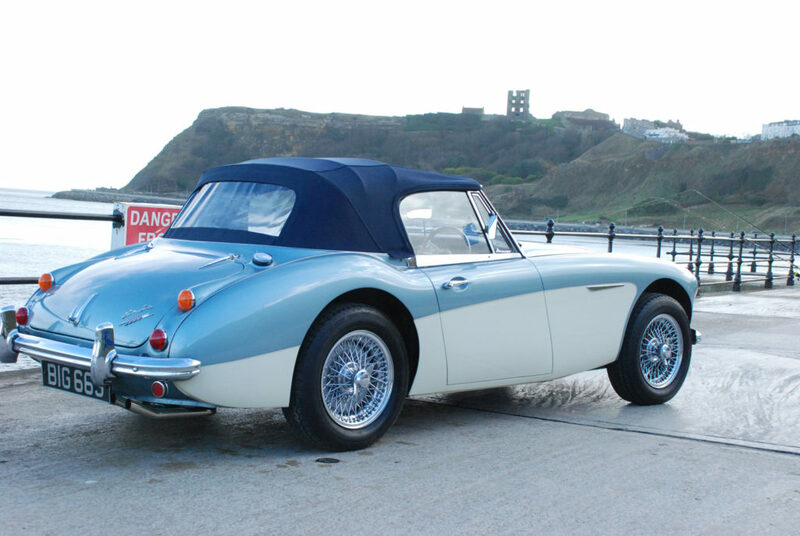 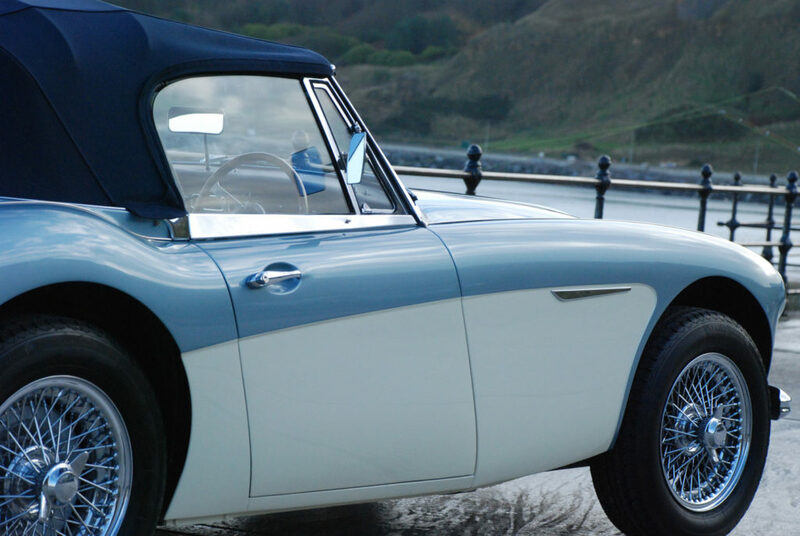 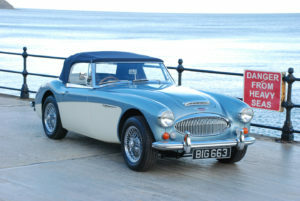 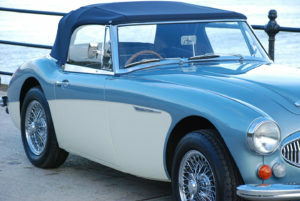 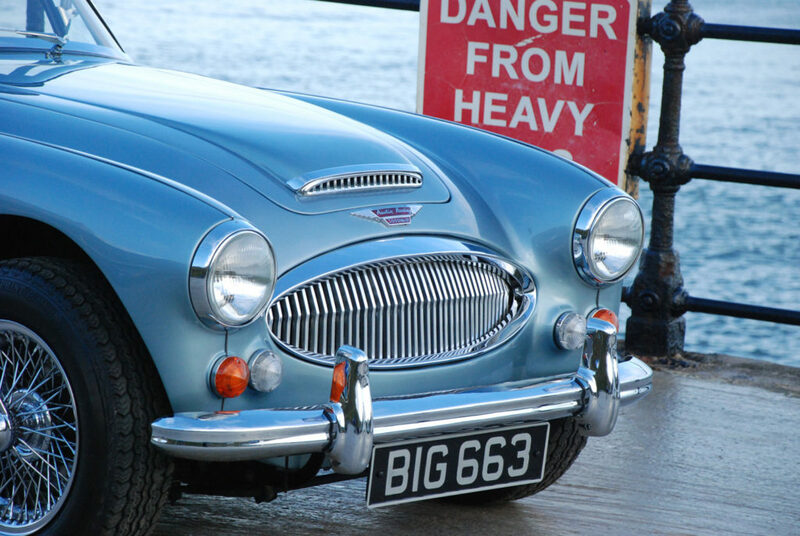 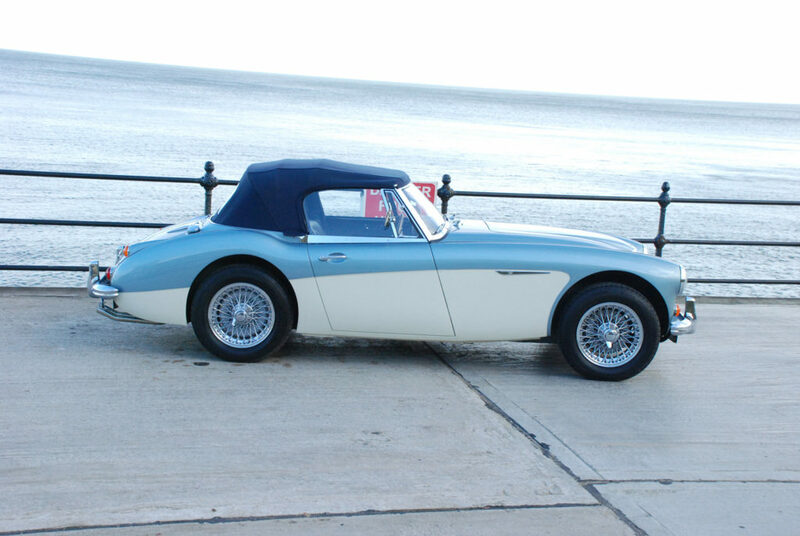 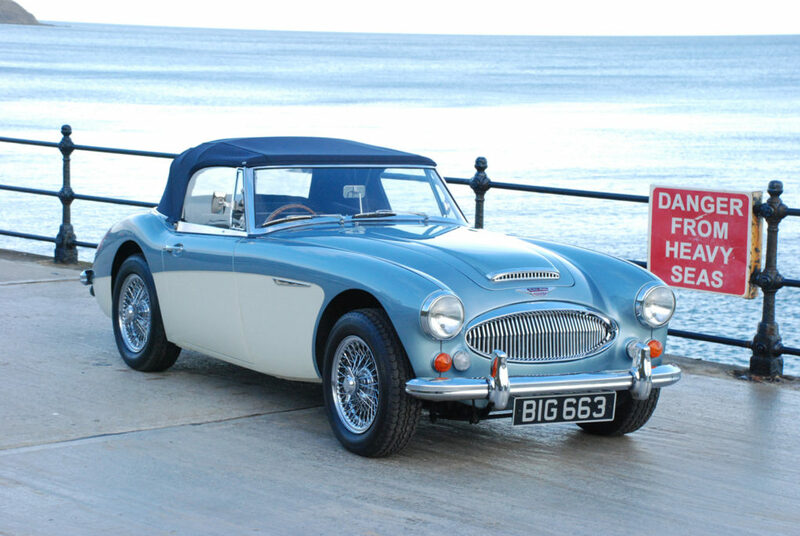 Austin Healey 3000 Mk 3 BJ8 phase 2 1965. 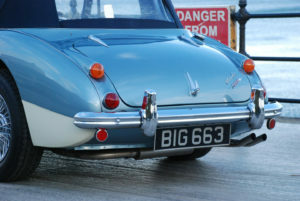 Ex US car has been the subject of a total no expense spared nut and bolt restoration onto a new chassis which was completed circa 3 years ago. 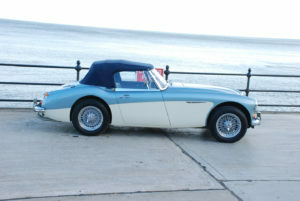 Fitted with a Richard Parker built engine. 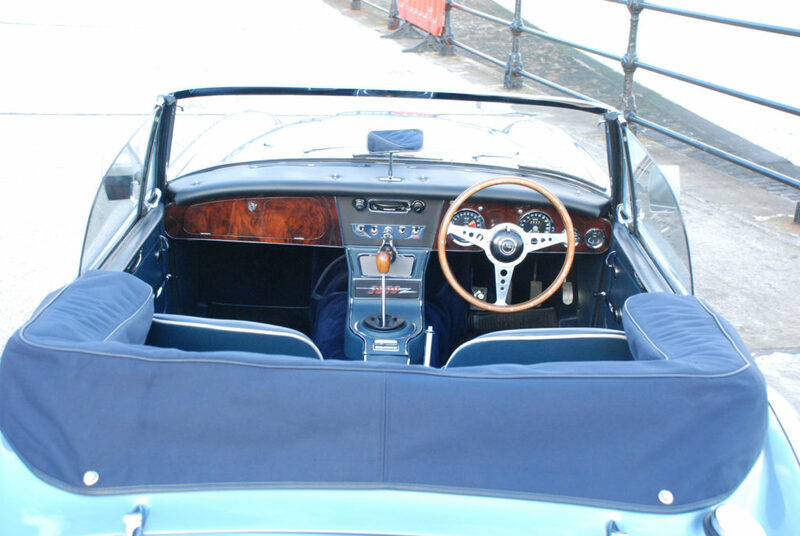 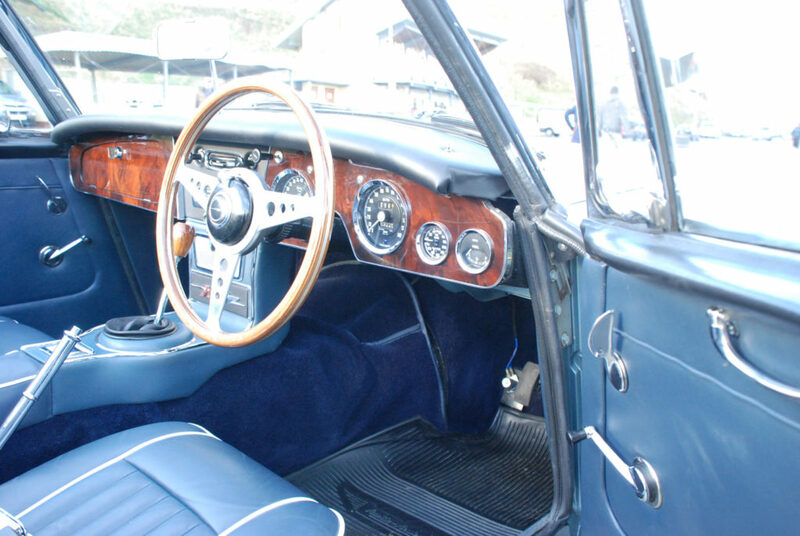 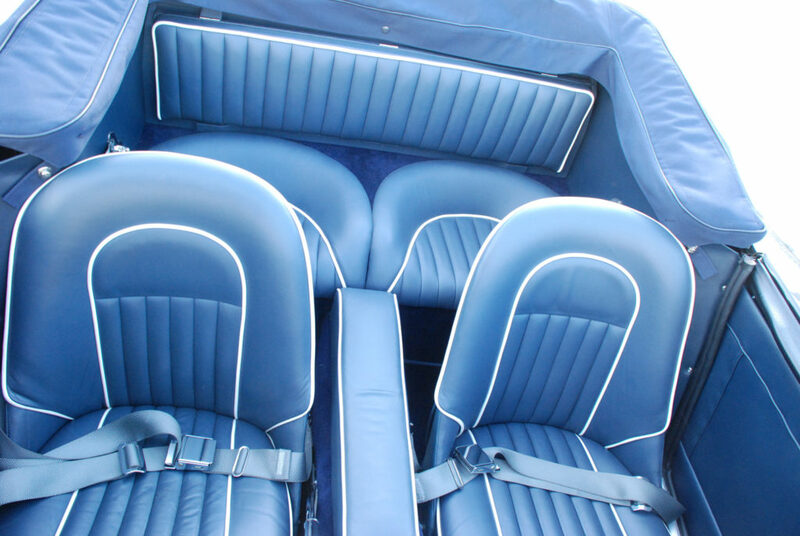 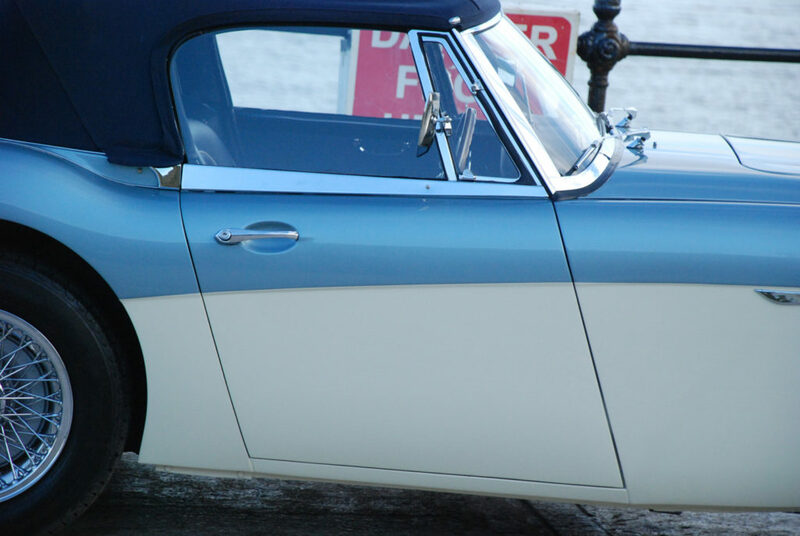 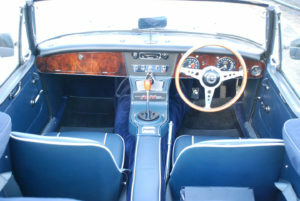 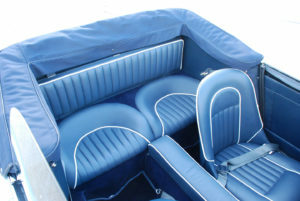 Finished in the classic Healey duo tone colour scheme of Healey ice blue over ivory white with bespoke blue leather trim piped in white with blue mohair hood, tonneau and hood cover. 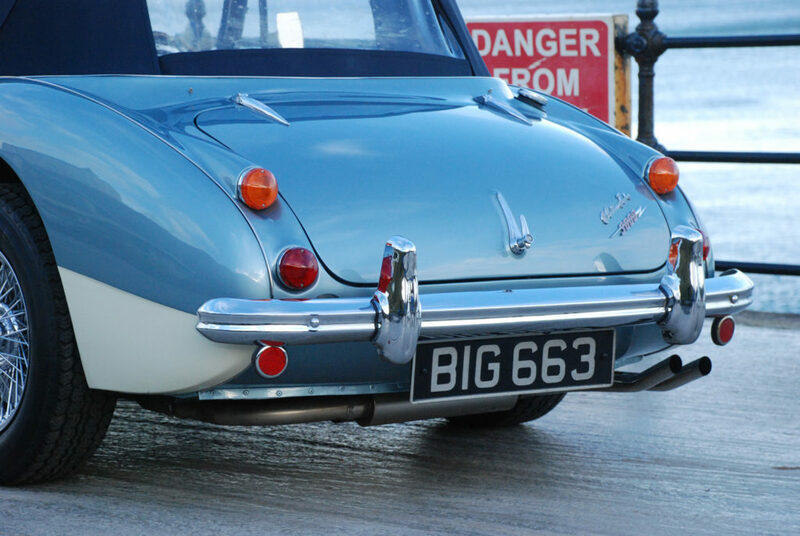 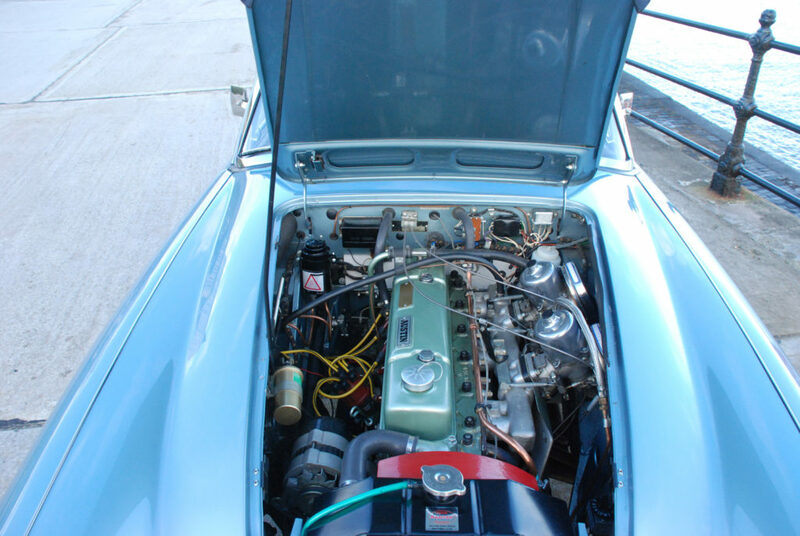 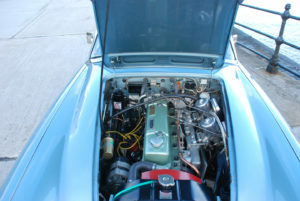 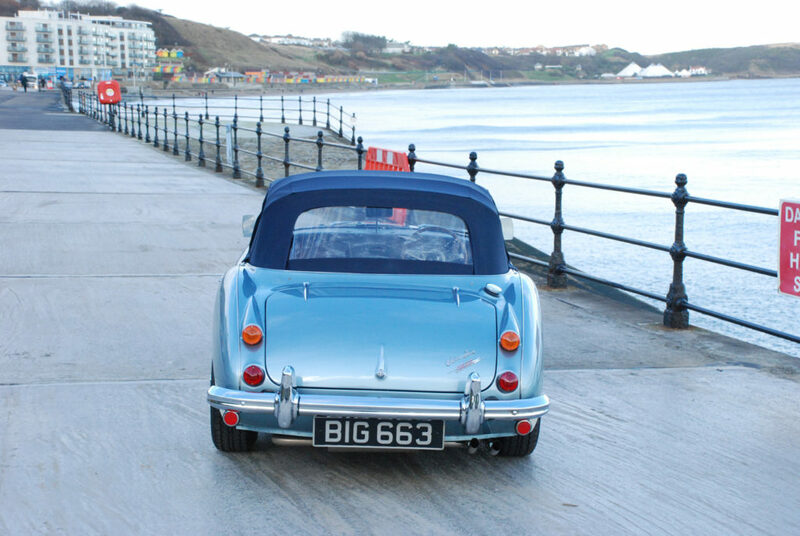 Fitted 72 spoke chrome wire wheels, stainless steel exhaust, aluminium radiator, alternator and overdrive. 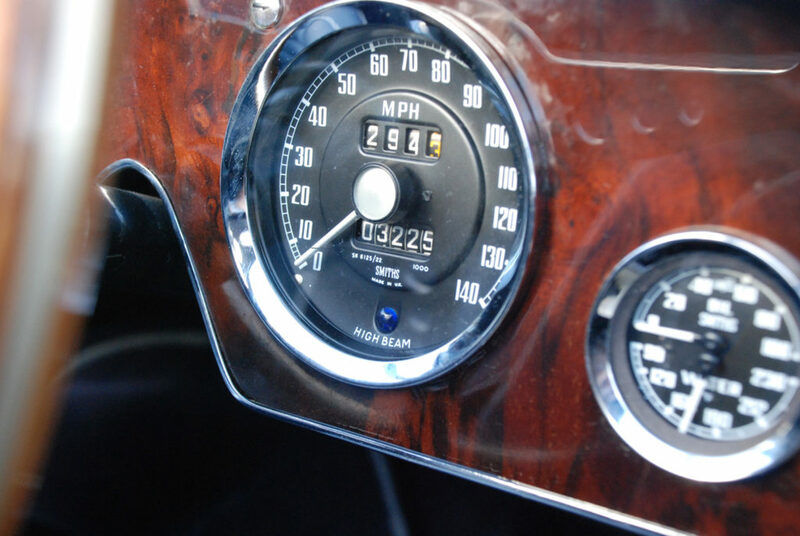 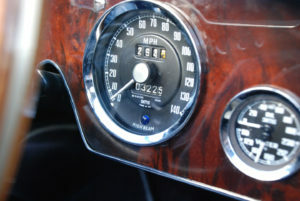 Now nicely run in after 2 summers of careful motoring. 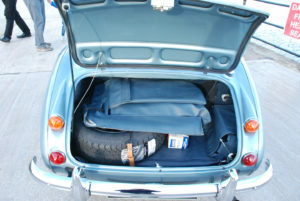 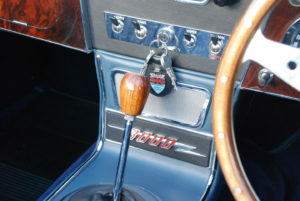 Complete with detailed history file, drivers handbook, spare keys, jack and wheel hammer.